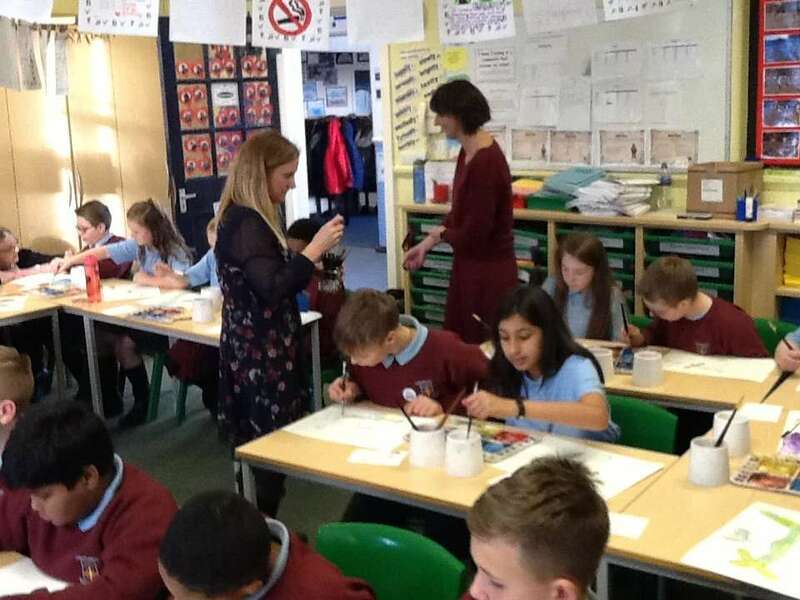 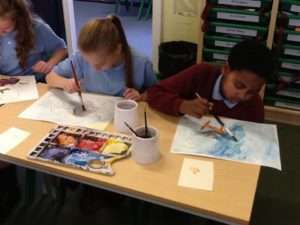 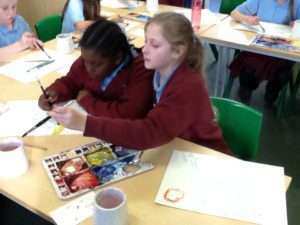 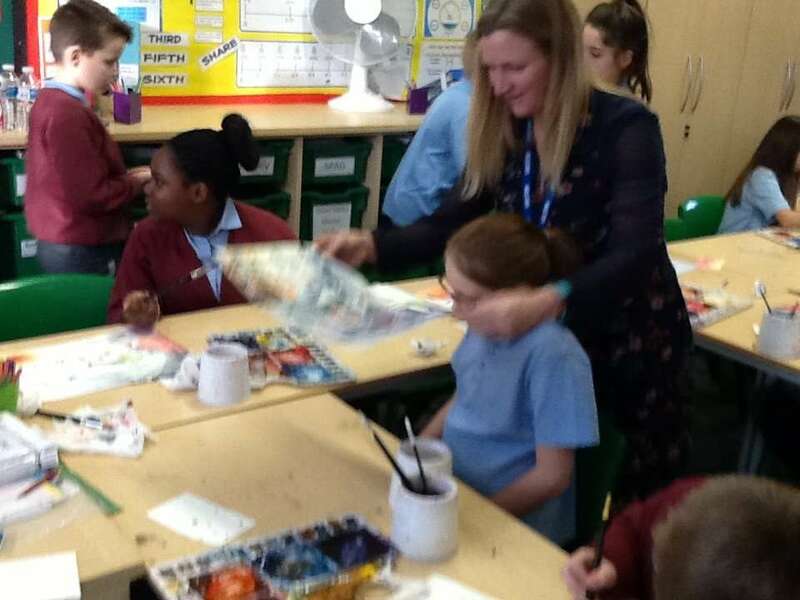 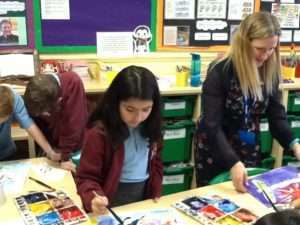 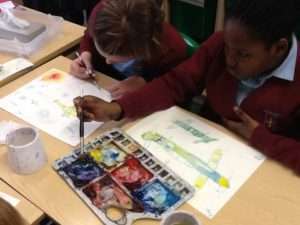 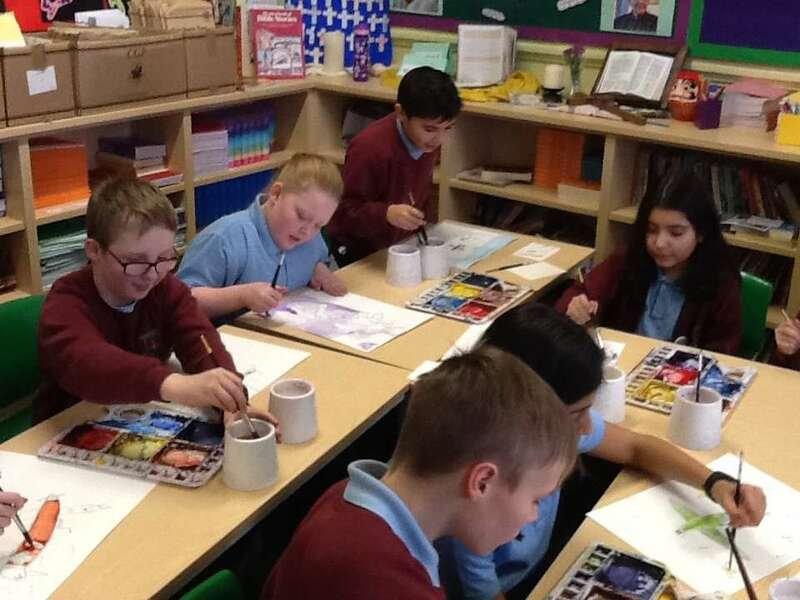 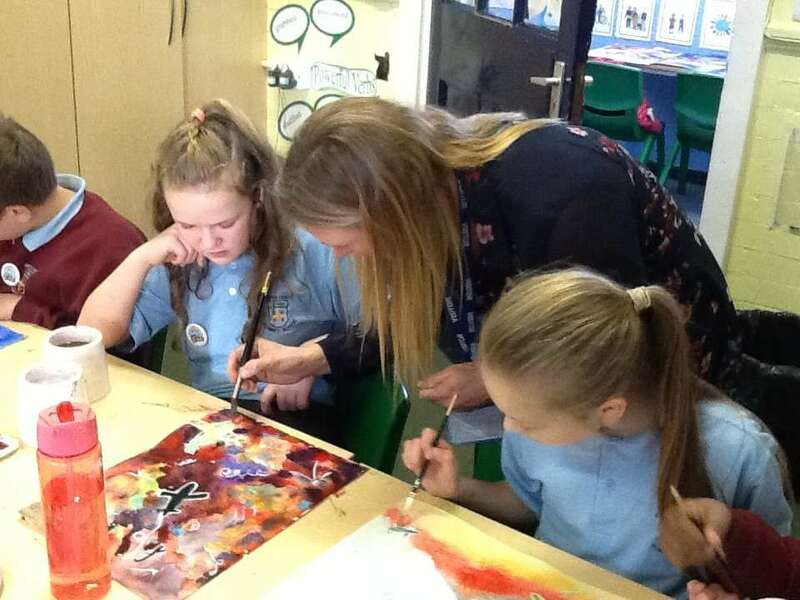 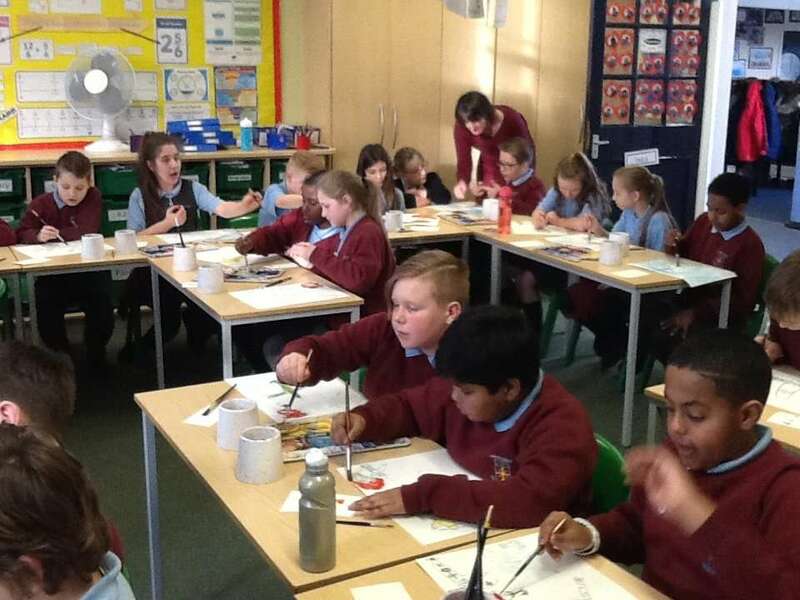 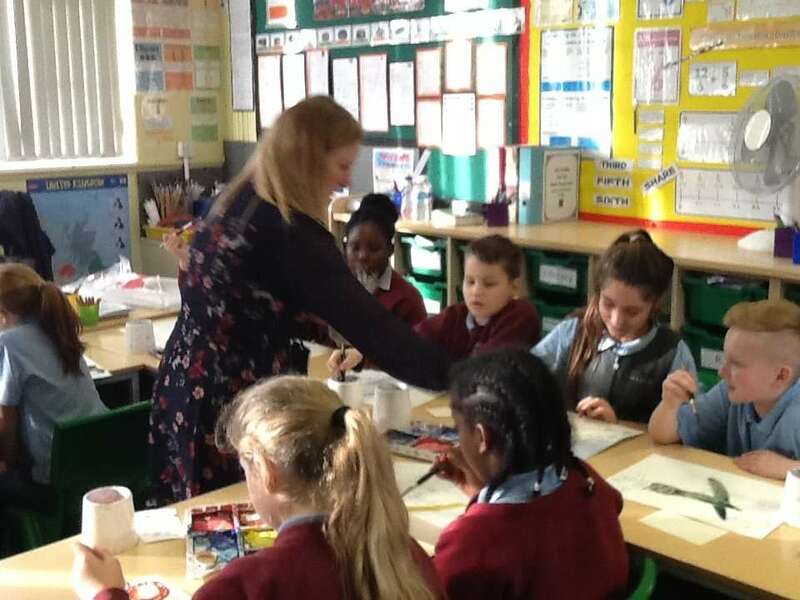 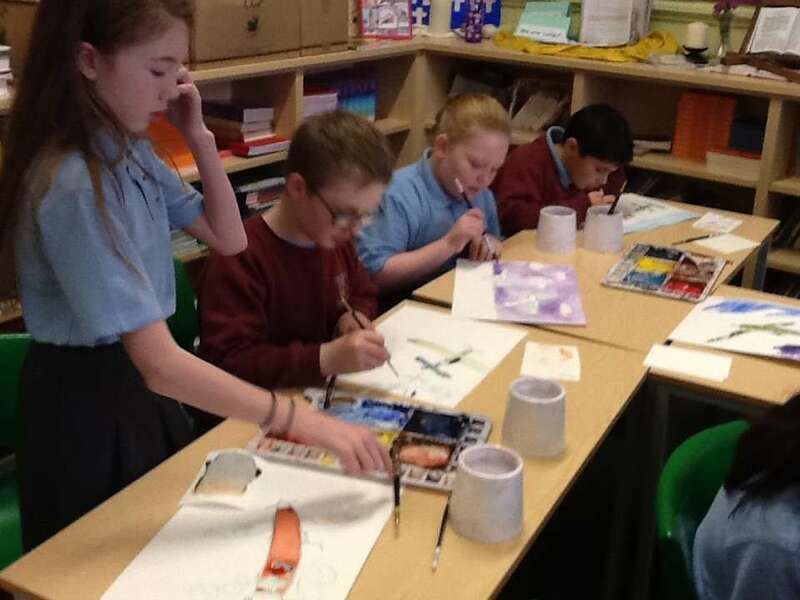 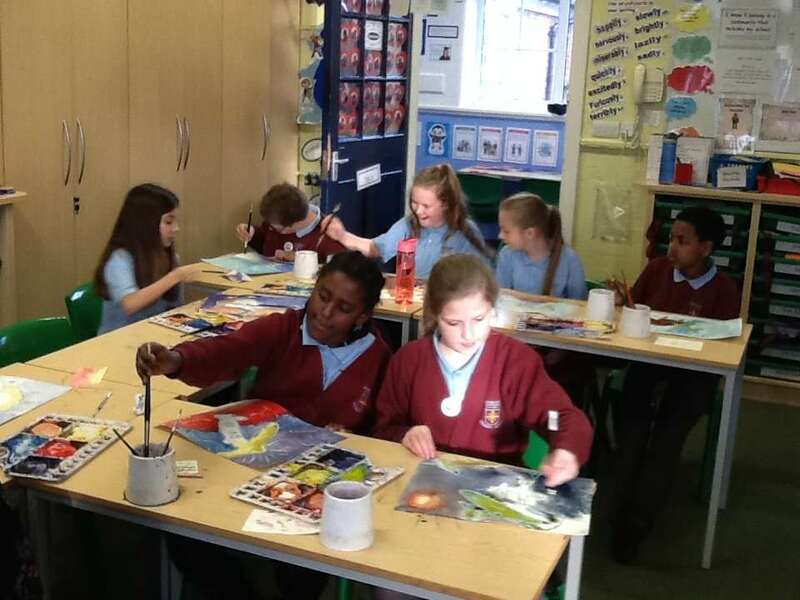 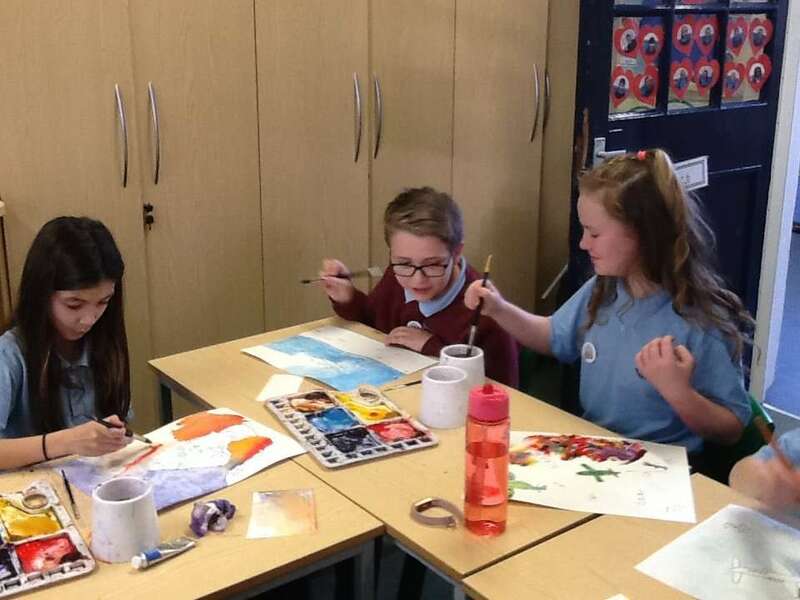 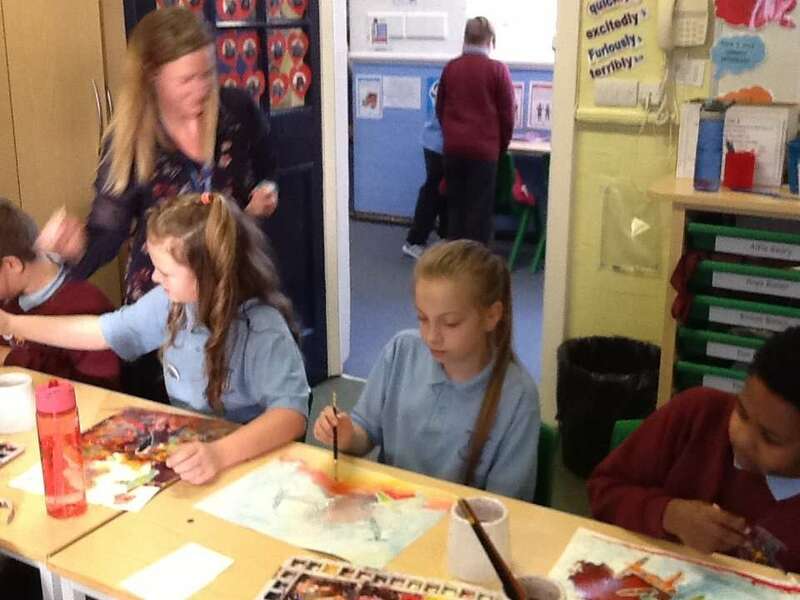 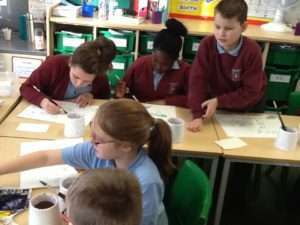 On Friday 18th January year 6 were visited by two artists who worked with us to create our very own watercolour masterpieces. Sarah and Jenny started by talking to us about the events at Dunkirk during World War II. 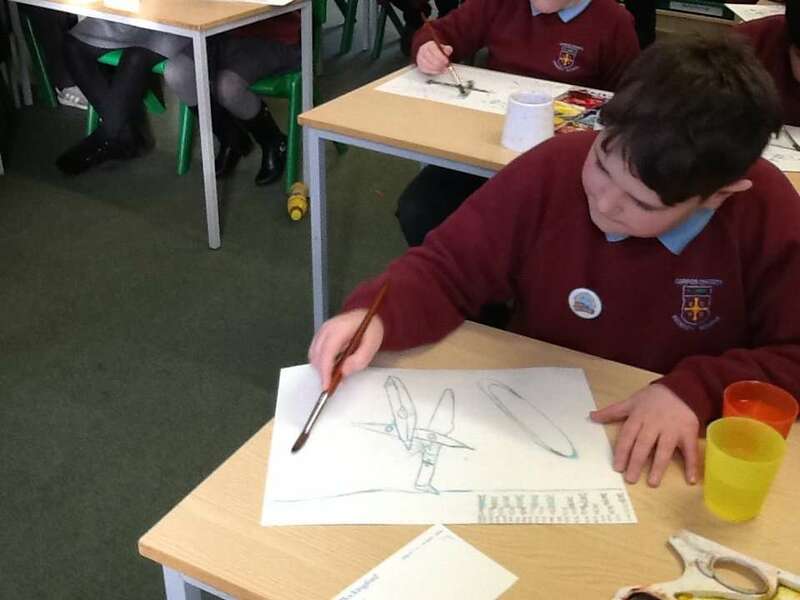 Next we took part in some warm up activities which helped us to practise drawing moving objects quickly: an essential skill for any war artist. 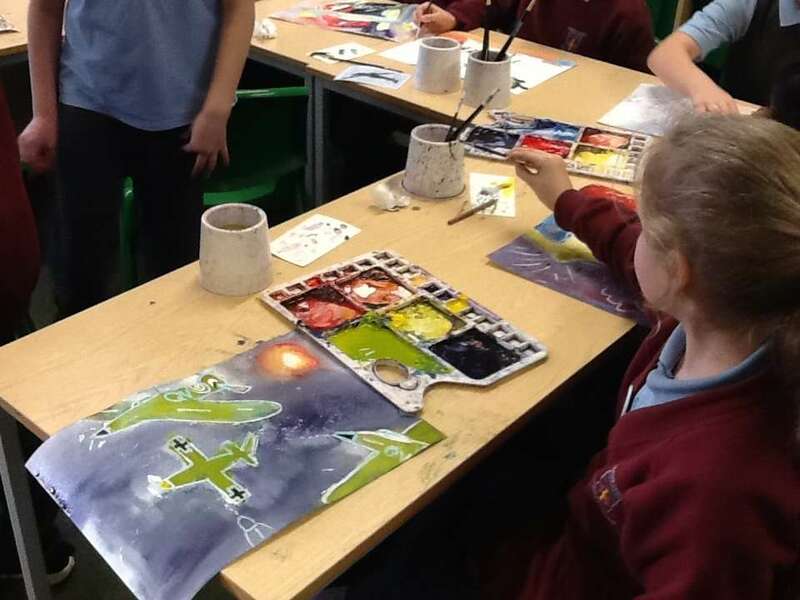 We were asked to focus on the RAF and looked at many images of war planes, explosions and ‘dog fights’. After planning our paintings in our art books we sketched them on to special art paper. 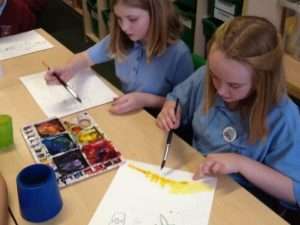 Before it was our turn to paint, Sarah and Jenny showed us how to use the watercolours effectively. 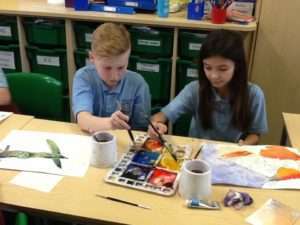 We all used colour and motion to great effect. Well done! 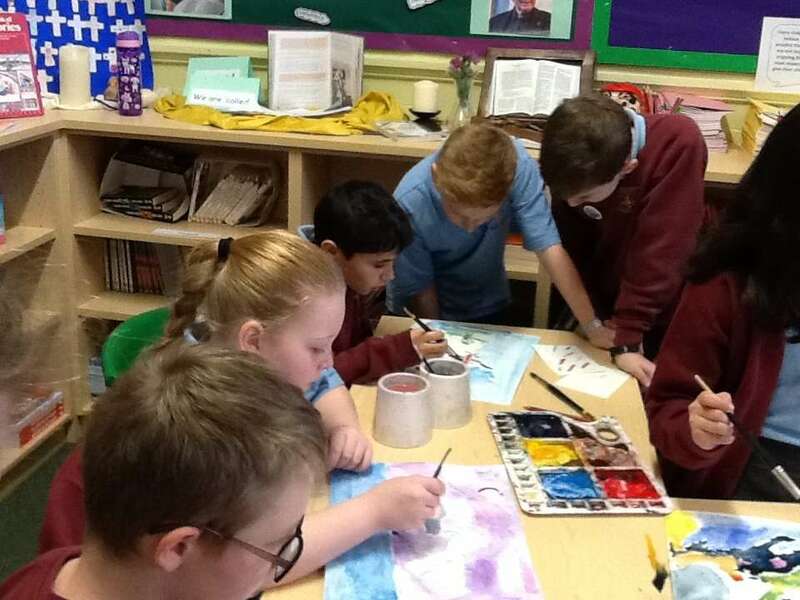 Article 29: Your education should help you to use and develop your talents and abilities.